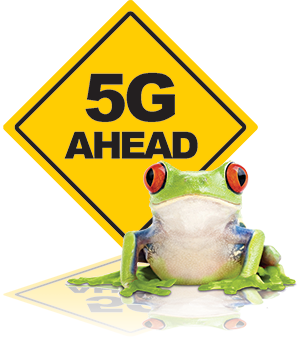 The buzz these days is all about 5G, the latest, greatest cellular technology that’s supposed to change the way we do things. But what is 5G and how will it impact your life? What is 5G? The fifth generation of cellular technology, which follows 4G LTE. Why should I care about it? It’s much, much faster. Like 10 to 100 times faster. And it can connect a LOT more things. More things communicating faster with one another can revolutionize industries and how we do things. How will it affect me personally? 5G speed and stability open up previously science fictional possibilities, like a surgeon performing your emergency appendectomy remotely. Plus, you’ll be able to download 4K movies in seconds. When can I get it? Now, if you live in parts of Houston, Indianapolis, Los Angeles, and Sacramento. Verizon just rolled out the first 5G network, although technically it’s not 5G because Verizon’s proprietary system doesn’t use the agreed-upon 5G standard even though it meets 5G speeds. Type in your address at Firston5G.com to see if you’re eligible. What will it cost me? As little as $50 a month if you’re a Verizon customer or $70 a month if you’re not. Competitor pricing isn’t available yet. Will I have to get a new phone to use it? Yes, but Verizon’s current rollout isn’t for mobile — that will come next year. This rollout is wireless for home broadband use and competes with fiber, cable, and DSL. On the other hand, AT&T’s 5G technology, which should be out later this month, is for mobile. Will I have to get a new modem to use it? Yes. It’s a different technology that uses different parts of the electromagnetic spectrum. Will other carriers offer it soon? Yes, T-Mobile is close behind Verizon and is planning a 5G home broadband network that will cover more than half of the country. What does the word “latency” have to do with 5G? A lot. Latency is the lag time that occurs between a device pinging a network and receiving a response from the network. 5G latency will be about 20 times shorter than already-fast 4G LTE. 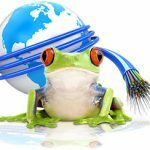 Why is short latency important to me? It may not matter that much with your daily browsing or streaming habits but near-instant responsiveness is what makes a lot of the sci-fi stuff possible. Will my future autonomous driving car use 5G? Yes. 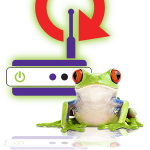 Feel free to nap or read FrogTalk during your commute thanks to 5G. What does the Internet of Things (IoT) have to do with it? In some ways, 5G is a response to increasing demand for available bandwidth. With IoT, millions more devices are (and will be) connected to the internet now, from refrigerators to Alexa to your dog’s collar. What does “throughput” have to do with it? Throughput is how much data can pass through a network in one second. Previously we measured throughput in megabytes per second (Mbps). Now we measure it in gigabytes per second (Gbps). Verizon tests show 5G speeds of 3.77 Gbps, and tests of other 5G systems are even faster with some showing speeds as fast as 6Gbps. For perspective, at a throughput of 6Gbps, your current 1TB monthly home data plan would be gobbled up in 2.78 minutes. Will 5G use the same cell towers that already exist? No, the electromagnetic frequencies used by 5G require smaller cells to be placed closer together to reduce latency. Does this mean I’ll be seeing a lot more cell towers? Possibly, but the cells don’t necessarily need to be attached to towers. They can be attached to existing structures like buildings and utility poles. Some municipalities are concerned about aesthetics. Might cells be attached to the utility pole in front of my house? Maybe. The White House held its first 5G summit late last month to fast-track the technology. As part of that effort, the FCC may limit local governments’ ability to regulate cell placement, appearance, and fees. When will all these cells appear? Not tomorrow, unless you’re in one of the rollout cities. But probably soon. Carriers still need to update their equipment and manufacturers need to design and produce devices that can use 5G technology. 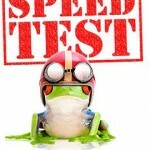 Why are wireless companies eager to move fast? More throughput means more business and more money. It could also mean hundreds of billions in new investment, economic growth, and as many as three million more jobs. The sooner it rolls out, the sooner developers will think of ways to use it. Once my city is on a 5G list, how long will it take to roll it out? Not as long as it took roll out Google fiber. Google had to bury the fiberoptic cables. It’s faster and easier to build cell towers or attach cells to existing structures. How can I find out more? Check out information from CNET, PCMag, Verizon and Forbes. For an explanation of the technology (with graphics), see 5G Explained.